Just to keep track, here are a few of her favorite words so far: ooos, derkel, ziggy, zuhkah, whasis, da, momomomomom, haaeee. Also so far: we are learning more babytalk than she is learning English. 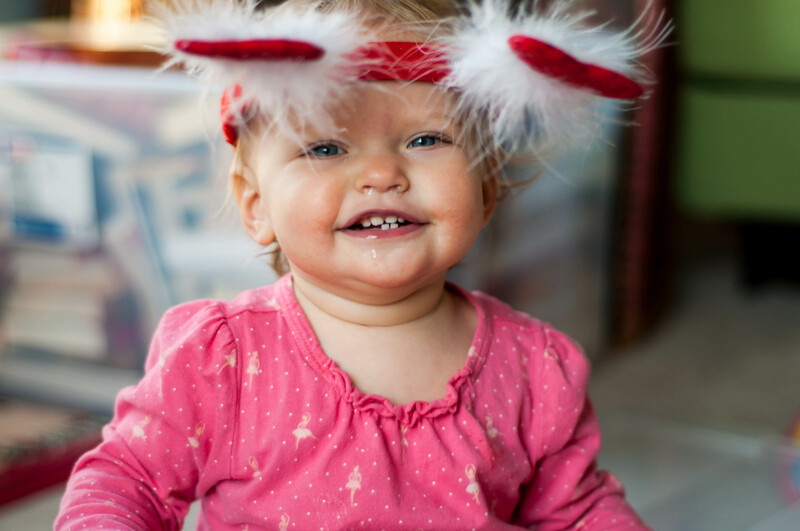 And now, a picture of Della wearing a Valentine’s headband.